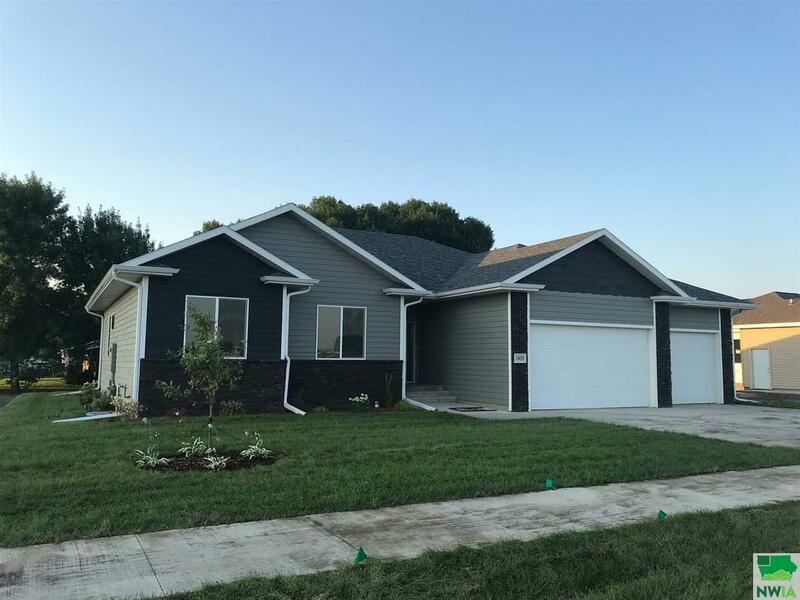 Quality built, Ranch style home features 3/4" dark hardwood floors though the kitchen, living room and dining room for a great open flow. The kitchen has a center island with a lunch counter, dark cabinets, and walk in pantry, The kitchen is open to the dinning room which features tray ceilings, glass door allowing easy access to the backyard. The master suite also features tray ceiling and has a large walk in closet, full bathroom with sitting tub plus a separate shower. Two additional bedrooms share a second bath. Large main floor laundry is located off the kitchen. Full unfinished basement and triple car garage. Driving Directions: Located On The North Entrance To Bliss Point Addtion Vermillion S.d. Included: Stove, Refrigerator, Microwave, Dishwasher, Washer&dryer. Garage Door Openers. All Attached Fixtures. Room 01 Description: Beautiful Dark Oak Cabinets With Eat At Island. Room 02 Description: Tray Ceiling And Sliding Door To Back Yard. Room 03 Description: Tray Ceiling, Carpet. Room 04 Description: Carpet And Standard Closet. Room 05 Description: Carpet And Standard Closet.